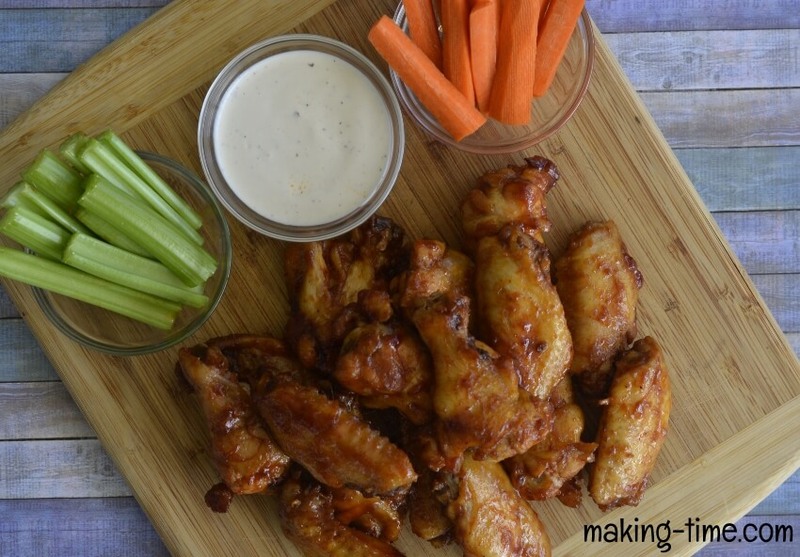 What is better on game day than a cold drink and some chicken wings? … Nothing! So when game days roll around, you better believe both are on the menu. Well, I recently did a thing. I combined the two. I put a little bit of Bourbon in the chicken wing sauce and ya’ll…the outcome was better than I could have imagined. 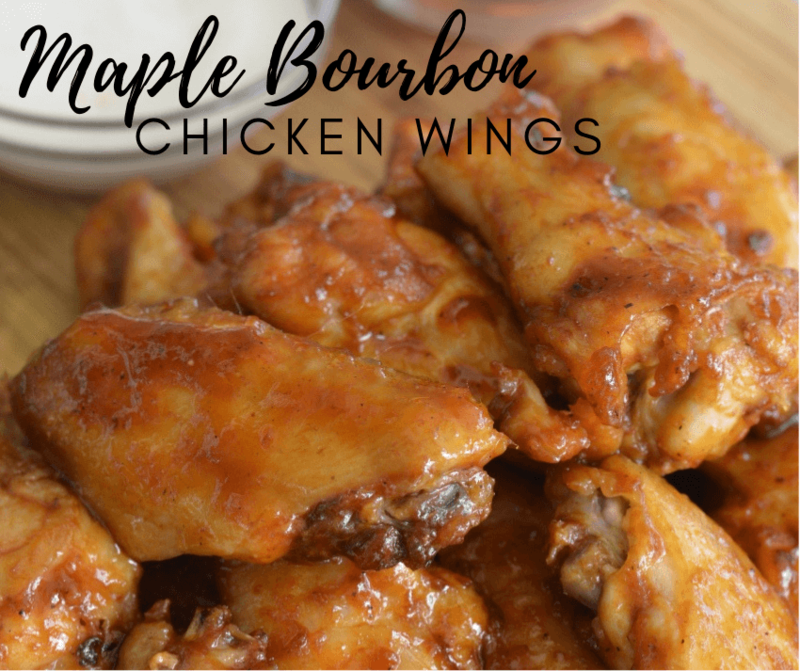 Say hello to Maple Bourbon Chicken Wings! 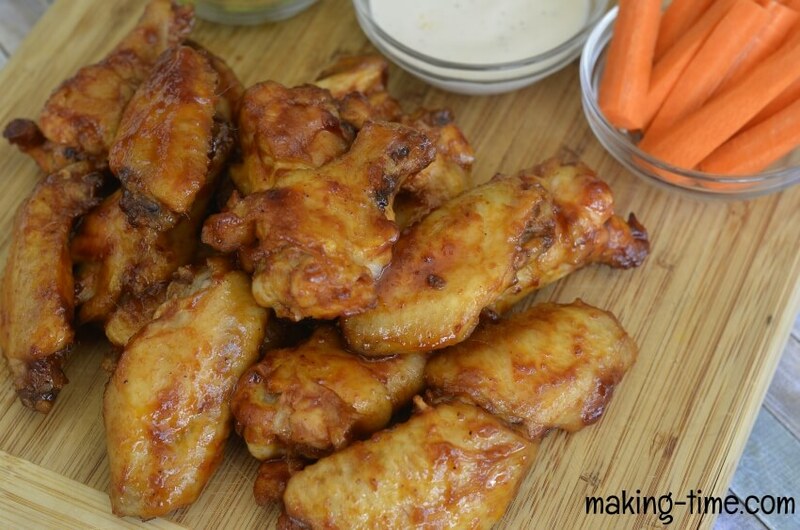 At first thought, you might think by adding Bourbon to the wing sauce, it will have a strong alcohol taste. But it really doesn’t. 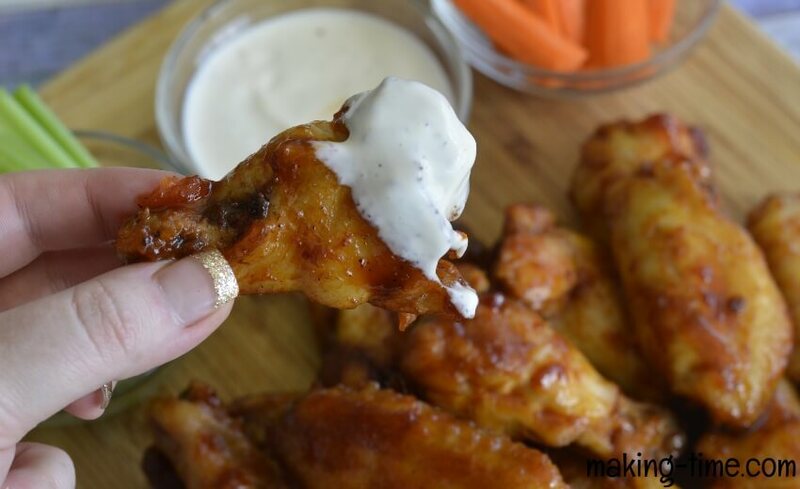 By adding it to an already sweet, maple wing sauce, it actually offers a nice balance and the result is some amazing flavor. And during the sauce making process, a lot of the alcohol is cooked down anyways. 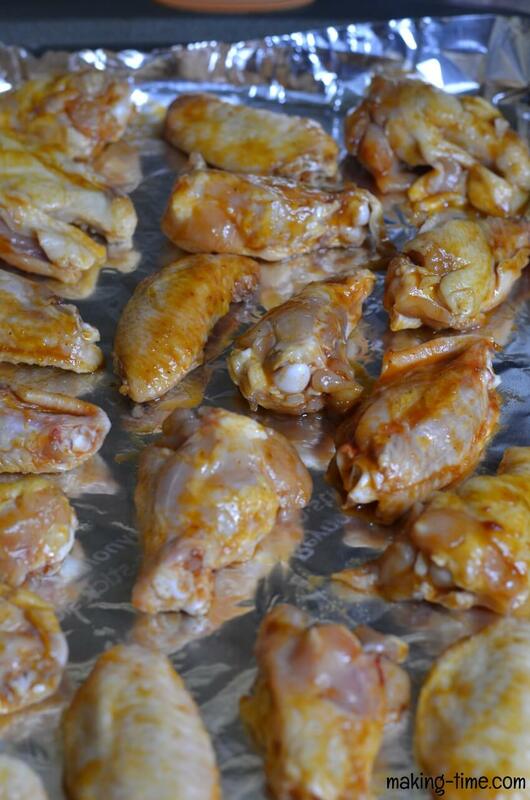 Rinse the chicken wings with water and pat them dry with a paper towel. 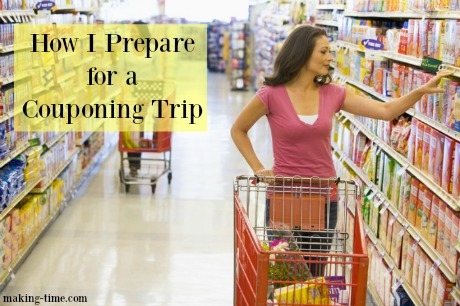 Place them in a large bowl and set them aside. 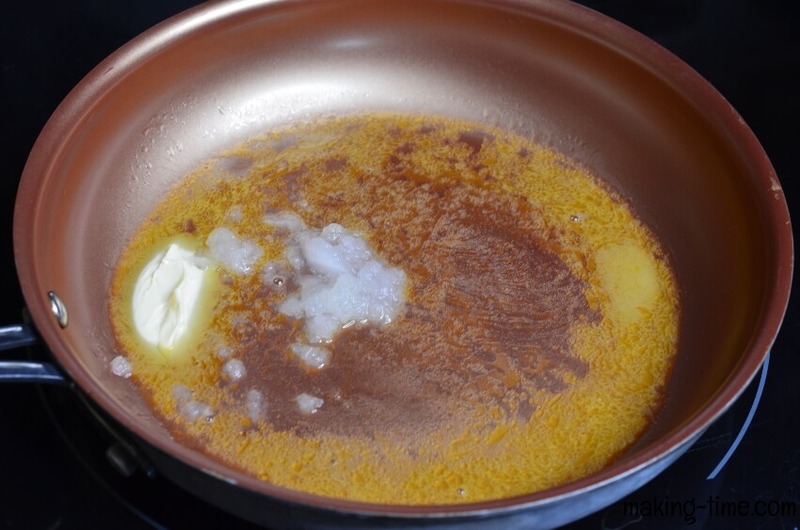 In a medium sauce pan, melt the butter and add the onion. Simmer for about 3 minutes. 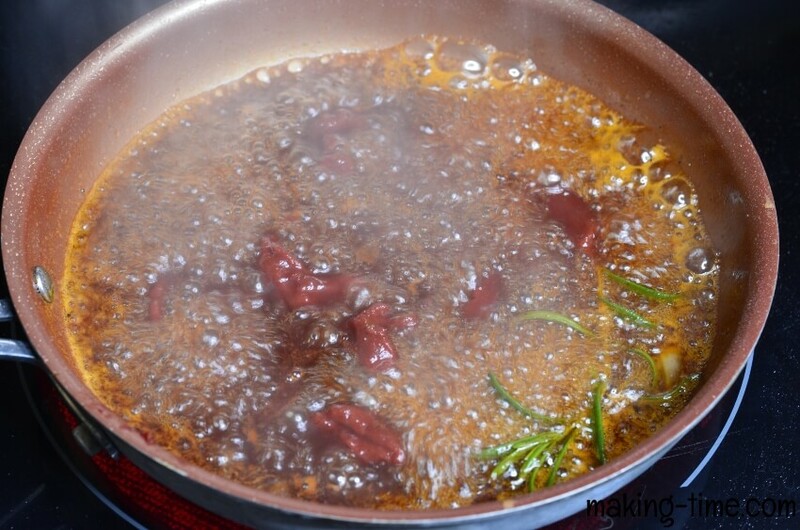 In the sauce pan, add the remaining ingredients (minus the wings) – Bourbon, syrup, tomato paste, hot sauce, rosemary, salt, and pepper. 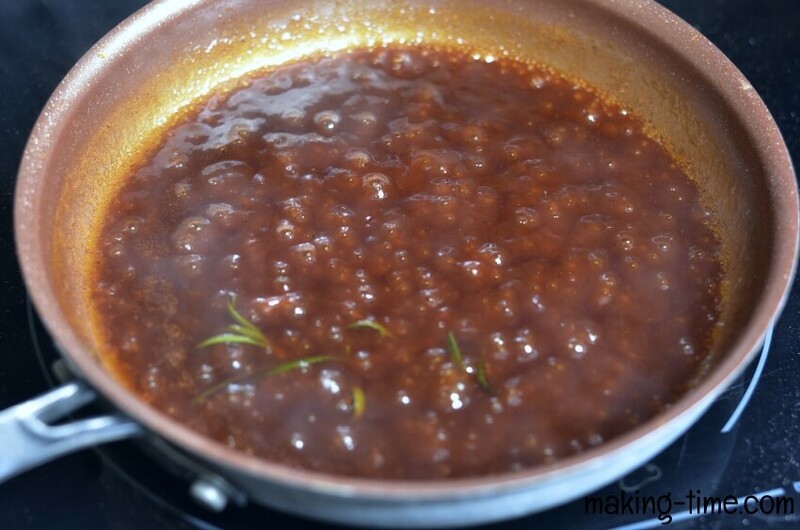 Using a fork or whisk, stir the mixture until the tomato paste reduces. Simmer for 8 minutes, stirring occasionally. 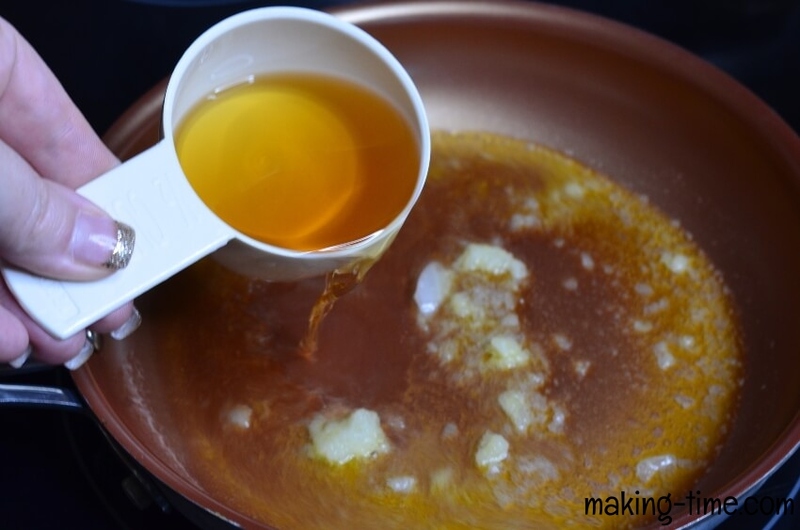 Once the sauce has thickened some, pour half of it over the wings and stir/toss to coat them. Set the other half of the sauce aside. 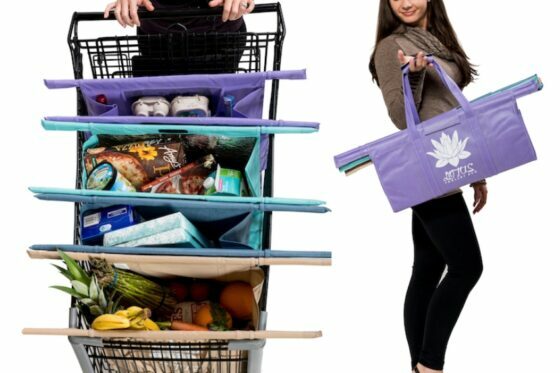 Line a baking pan with foil and coat with non-stick spray (non-stick aluminum foil works great too). 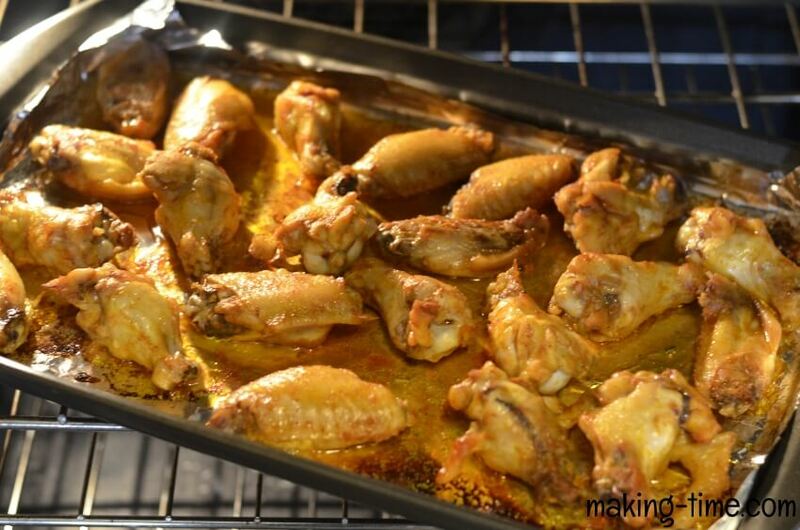 Place the chicken wings on the pan, leaving a little space between them. Bake for 20 minutes, then flip them over and bake for another 20-25 minutes. 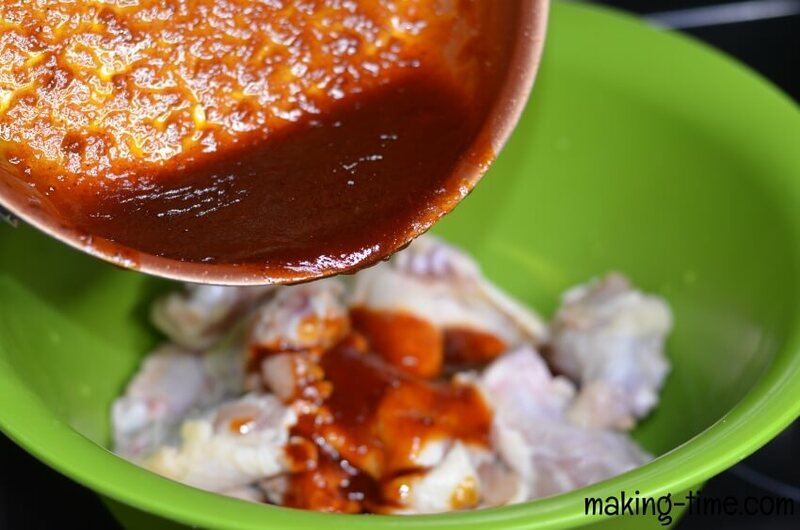 When fully cooked, move the chicken wings to a large bowl and pour the remaining sauce over them. 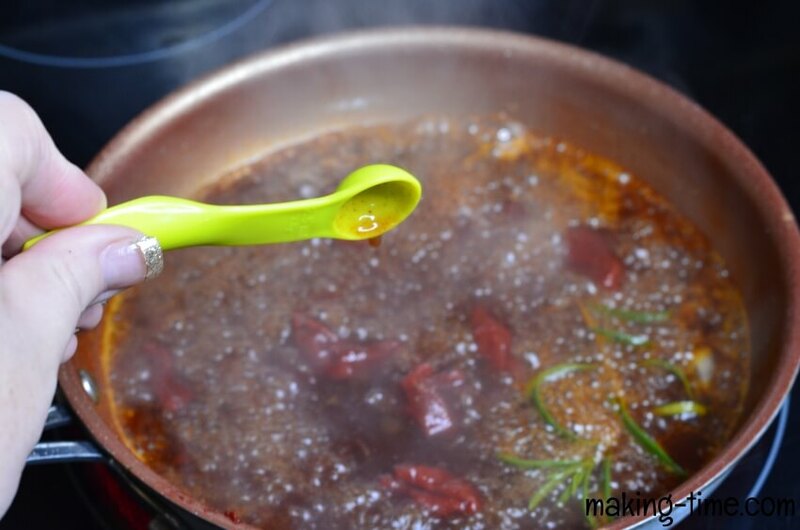 Stir/toss to coat and enjoy hot! Now, the only decision is what to dip them in. Or do you not dip them at all? … They are so good that they don’t need to be dipped. You decide! Are you #teamranch or #teambluecheese? 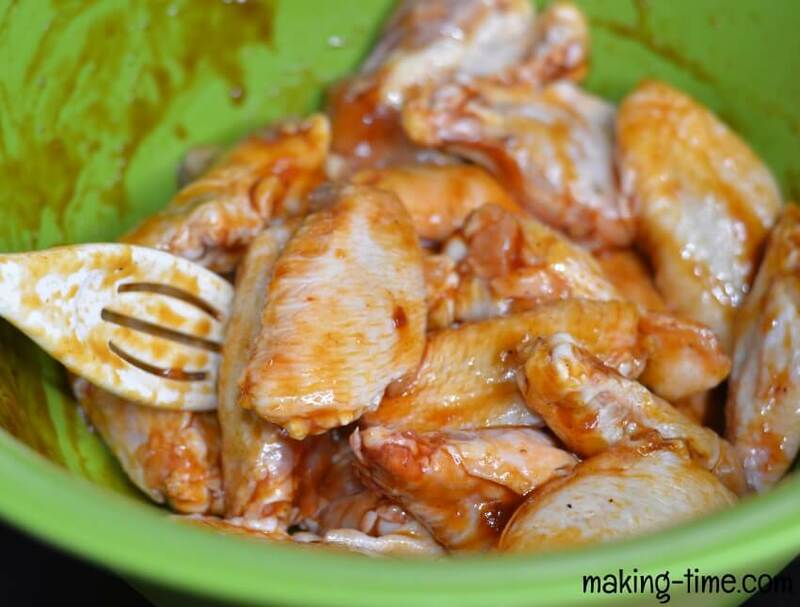 I love bbq chicken this looks delicious I’m going to try this recipe. 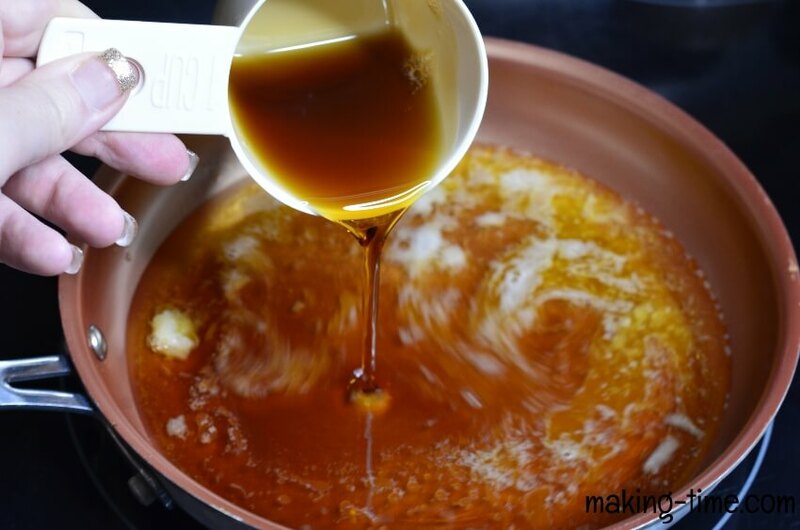 That maple bourbon glaze sounds seriously good. I need to give this a try.